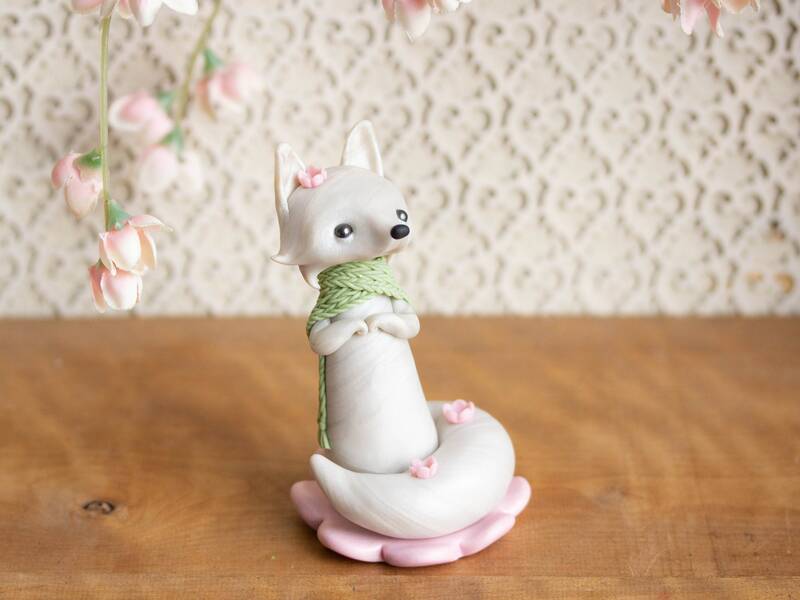 This white Fox is adorned with pink cherry blossoms, an enduring symbol of the ephemeral nature of life. She gazes up into the pink cloud of springtime beauty, wearing a pale spring green stockinette scarf with tassels. She stand upon a sakura blossom. 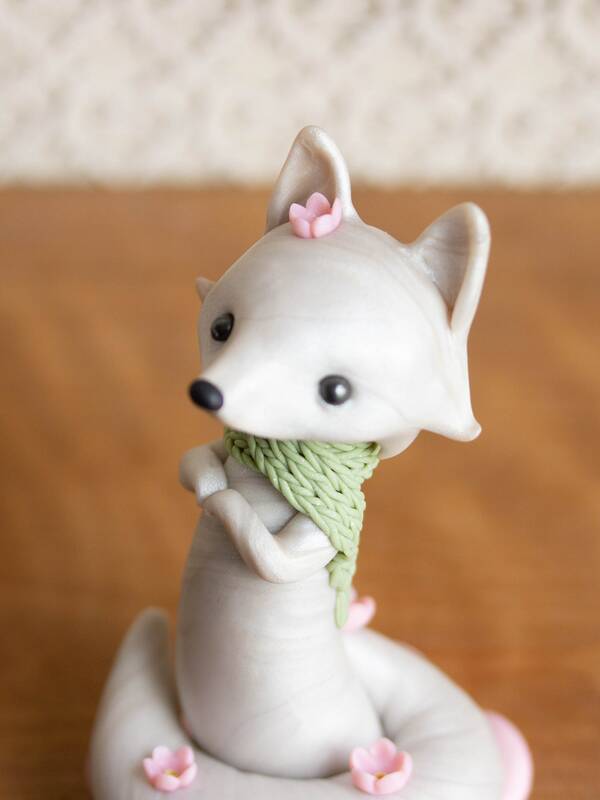 I sculpted her with a custom-blended polymer compound that has a subtle sparkle and marbling. Her eyes are Swarovski crystal pearls and she stands 4-inches tall. 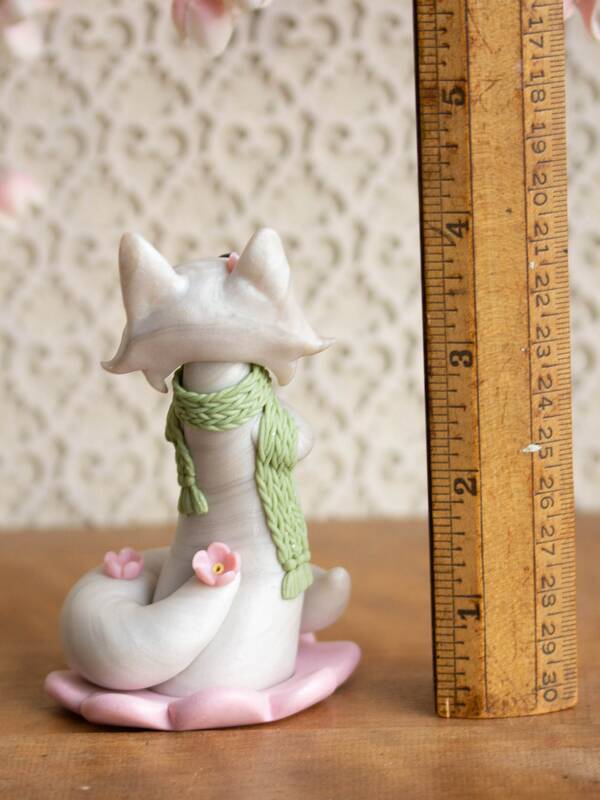 You will receive the exact same figurine in the photos, and she is ready-to-ship. She'll be on her way within three business days of payment. She will arrive in a handsome gift box with a descriptive card, ready for giving or receiving. All of my Poupettes are sculpted by hand, one at a time, and stamped on the underside with my maker's mark. As soon as payment is received, I'll confirm the shipping date. 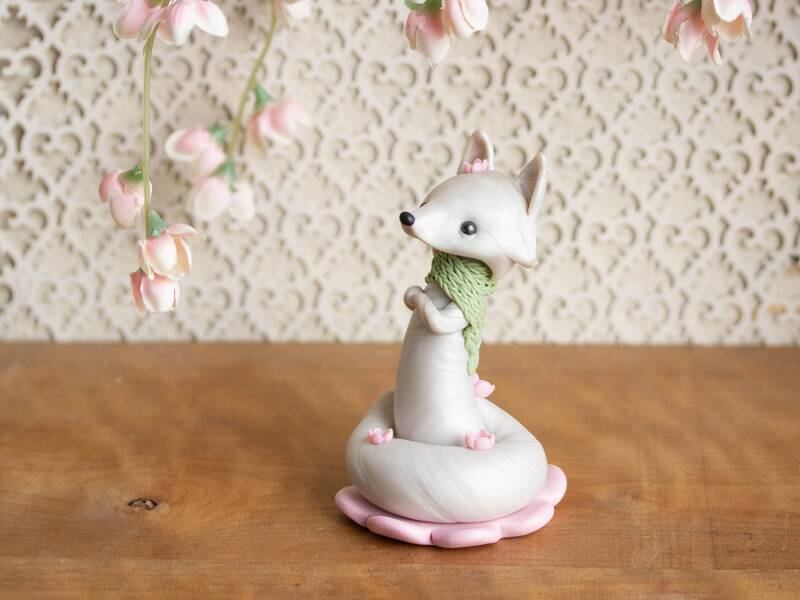 You'll receive shipping confirmation once she's on her way, and a tracking number, if available for your address. Do you accept custom and personalized orders? Yes, I accept a limited number of custom orders every month. I require payment to schedule the shipping date and I send photos when it is completed. Please contact me for more information. By the way, I do not make anything shaggy or bristly, nor animals with complex markings, as they do not look good in my style (I wish they did!). I also never, ever copy other people's ideas, so please don't ask - thanks! Yes, I am happy to offer a payment plan by request. Let me know what kind of payment arrangement will work best for you and we can discuss the details. 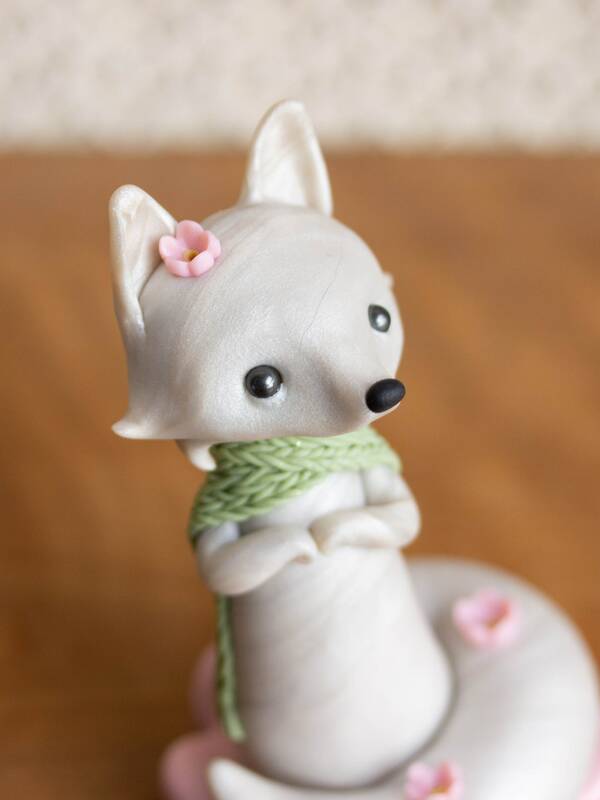 Can I place this sculpture directly on a cake without an additional base? 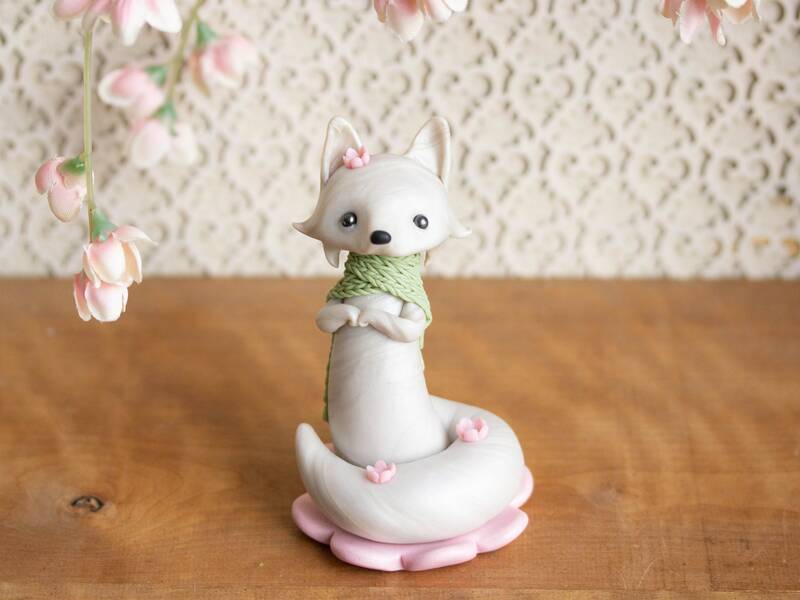 Yes, my figurines are made of a professional-grade, non-toxic polymer and do not require toxic paints or varnishes, because the pigment is permanently suspended in the polymer. Therefore, they can stand directly on a cake. They are also waterproof, and can be carefully hand-washed with a gentle soap as needed. Why do you require Signature Confirmation? What if I'm not at home to receive the package? Signature confirmation is required for all shipments to prevent theft. If you are unable to be at home to sign for the package, I recommend keeping an eye on the tracking, and once a delivery attempt has been made, go to your local post office with the tracking number to pick it up. Back in the day USPS used to leave notices and attempt re-delivery, but this has become rare in recent years, and I wouldn't count on it. I ship all orders (with the exception of custom and express mail orders) within 3-5 days of purchase. If you are on a tight deadline, or purchase express shipping - please contact me directly and I'll get it out ASAP. Otherwise, I ship Mondays and Thursdays, with the exception of USPS holidays, when I ship the next day. Can you tell me more about shipping to U.S. addresses? Shipping to U.S. addresses takes from 2-5 business days, depending on the shipping mode selected at checkout and how far you are from a major city. All of my shipments include a USPS Tracking Number which is automatically sent via e-mail as soon as the package has shipped. Priority Mail packages are automatically insured up to $100. Signature Confirmation is required to prevent theft. Priority Mail Express Shipping is available at checkout and takes 2 business days, unless you live in Portland, OR (which will be next day delivery). Do you include paper invoices in your packages? You will receive a digital invoice/receipt for your order through Etsy. For packages shipped within the U.S., I do not include a paper invoice, but if you would like one, just let me know and I'll be happy to include one. I am required by law to include 1-3 paper invoices with the purchase price in my packages for all international orders. Do you ship internationally? How long does it take? Yes, I regularly ship to countries all over the world. Delivery to addresses outside of the U.S. usually takes between 2-4 weeks, depending on the type of shipping selected at checkout. Be advised that actual transit times vary by destination and are not guaranteed by the Postal Service. I urge international buyers be aware of how your local Customs and Postal Service operates before making a purchase. Can you mark my item as 'Gift' or alter the cost on the customs form? No, I cannot mark international items as "gifts" or alter the cost of goods. All customs forms are accurately labeled 'Merchandise' with the actual cost of the item in compliance with international law. I cannot predict nor can I be responsible for delays in customs or any additional fees or taxes that may be charged by your local jurisdiction. In the event of damage, what do I do? For minor repairs, I recommend using a cyanoacrylate gel (also known as 'super glue'. I highly recommend Loctite Gel). If a figurine arrives damaged from shipping, I will repair or replace the figurine depending on the amount of damage. Simply let me know and ship it back to me, preferably in its original packaging. I will refund the shipping cost to cover the unforeseen expense and repairing your piece will be my number one priority as soon as it arrives. My turnaround time will be 1-3 days. She is absolutely beautiful! Thank you so much for your business!